Business people with suits and leather I’m Important travel luggage, prostitutes grabbing coffee before they go home, one-armed homeless dude in a wheelchair who’s super high, office ladies who always get coffee together giggling furiously, and a couple of sleepy-looking people staring vacantly at the espresso machine (that includes me). At least they spell my name right once in a while. 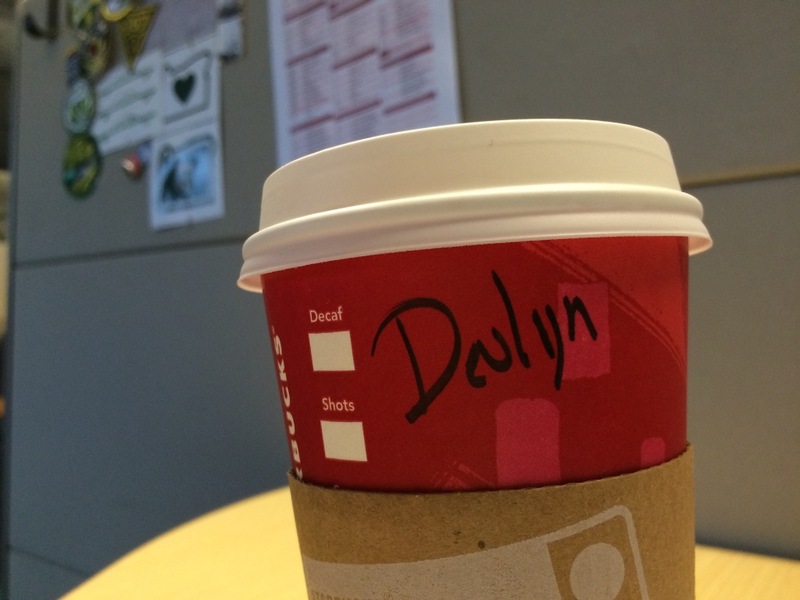 This entry was written by devlyn, posted on December 4, 2014, filed under Uncategorized. Older: Cheers to the start of year four!